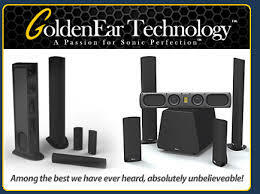 Vast Technologies is proud to offer GoldenEar speakers. GoldenEar Technology is a new loudspeaker company with products that deliver superb sonic performance, elegant styling, and exceptional value. Our achievement of these important performance parameters is absolutely critical for the full enjoyment of music and equally important for home theater. And of course, we also focus on tremendous yet effortless dynamic range, powerful, deep, tight, rock-solid bass response and silky-smooth high frequencies that seem to extend forever – all of which is desirable for home theater sonic spectacles as well as musical excellence.